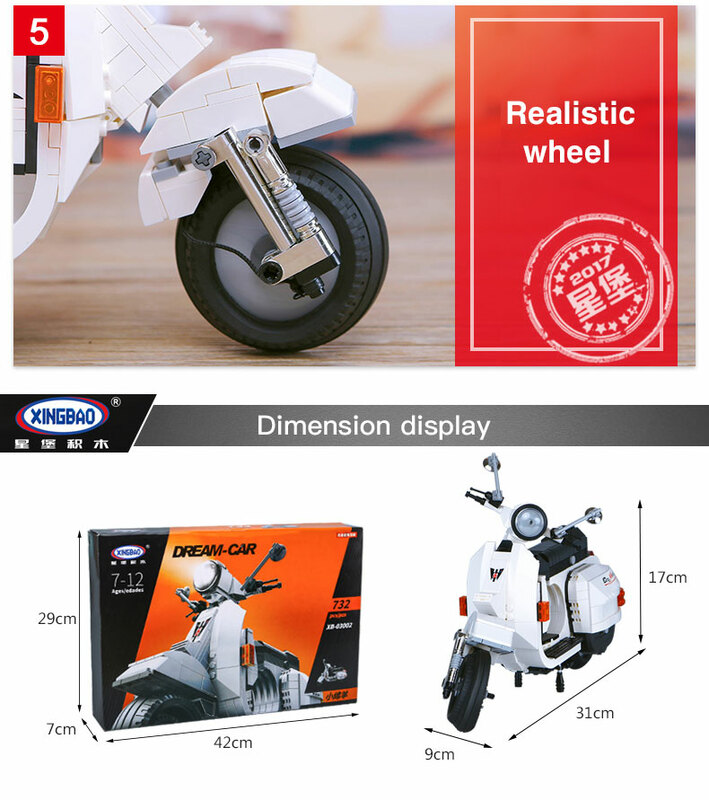 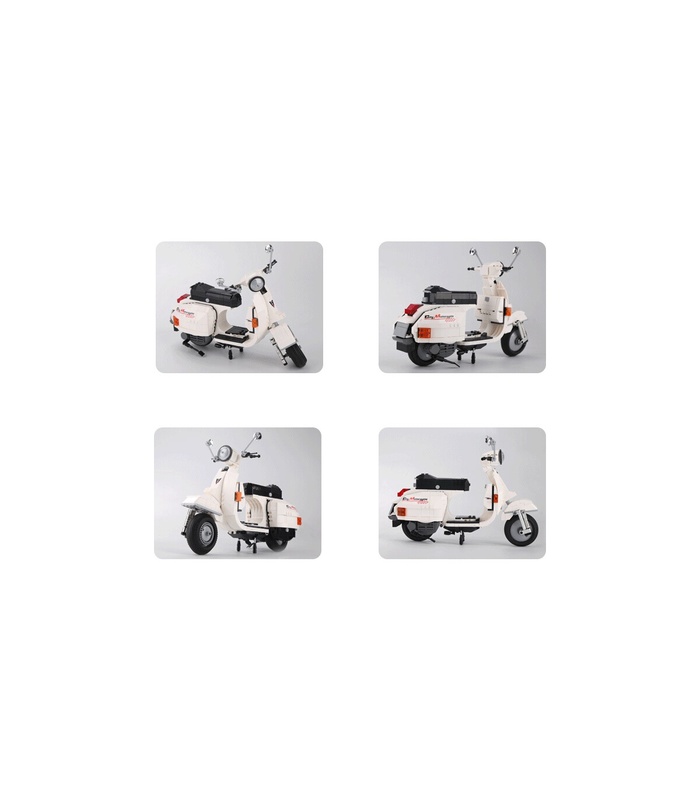 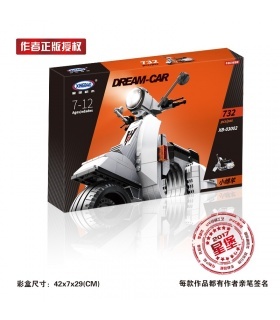 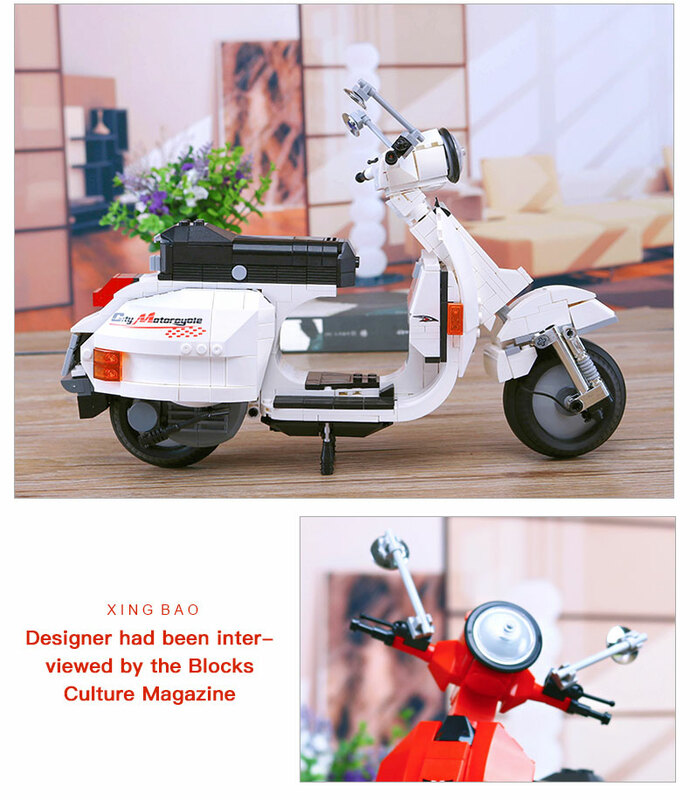 XINGBAO 03002a Vespa P200 Moto is a MOC (My Own Creation) building blocks set which is 100% compatible with all major brands building bricks. 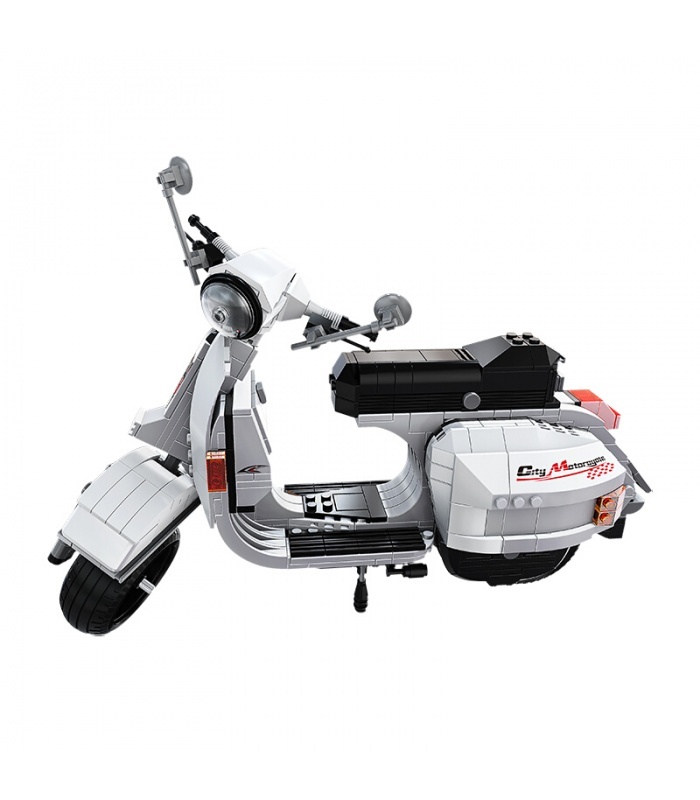 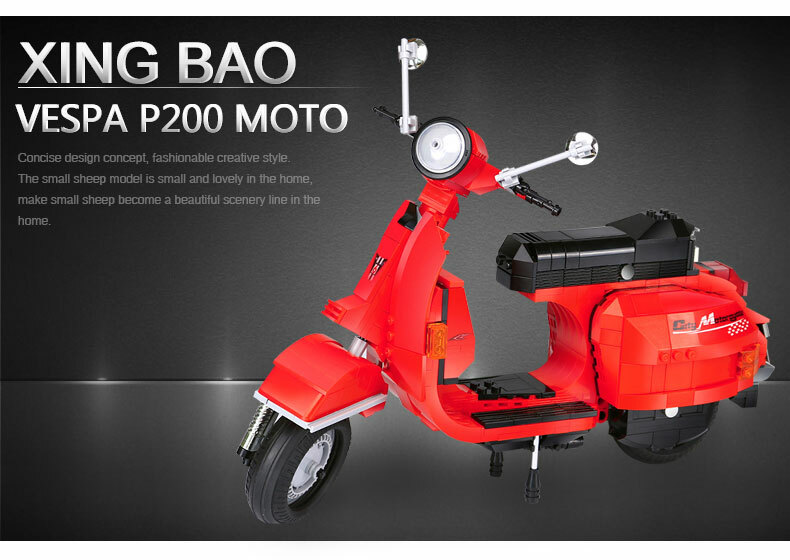 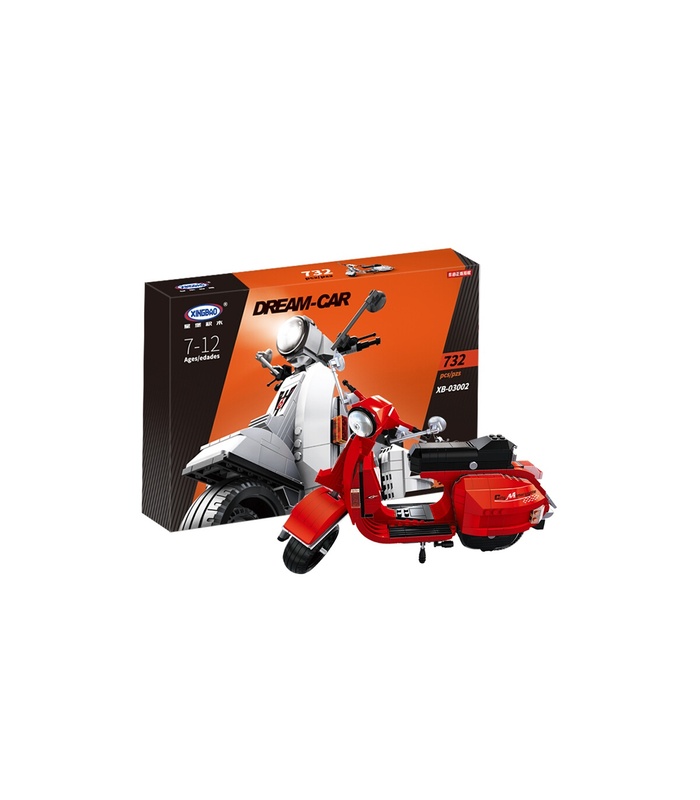 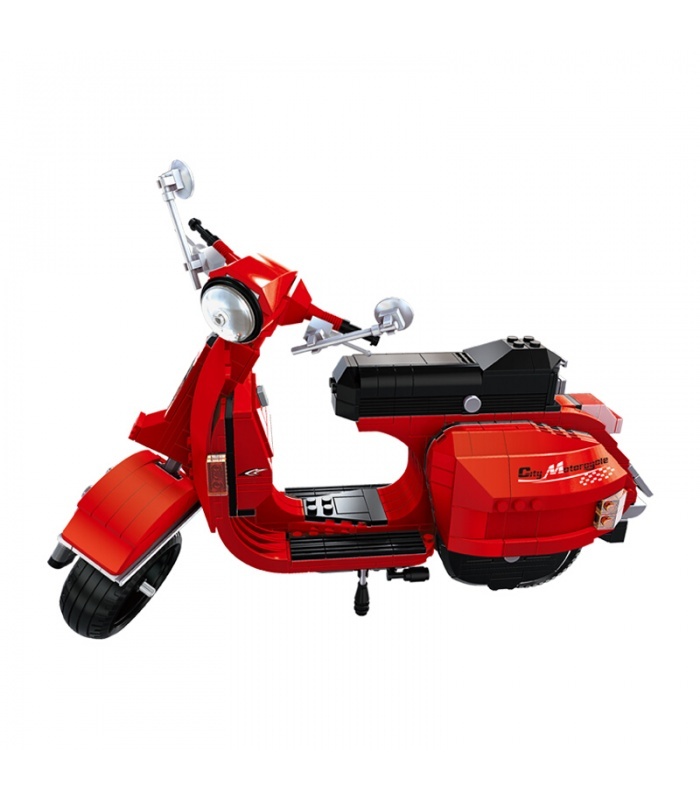 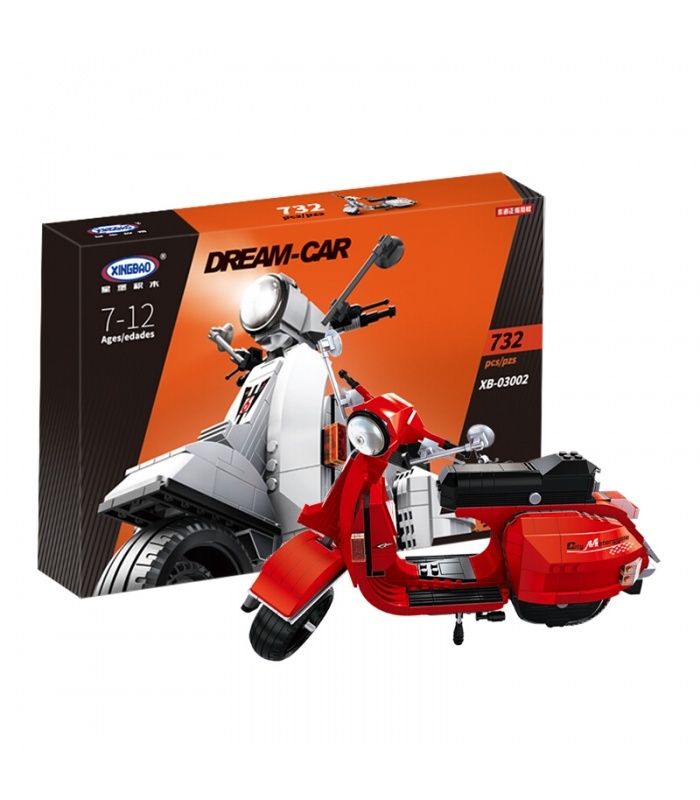 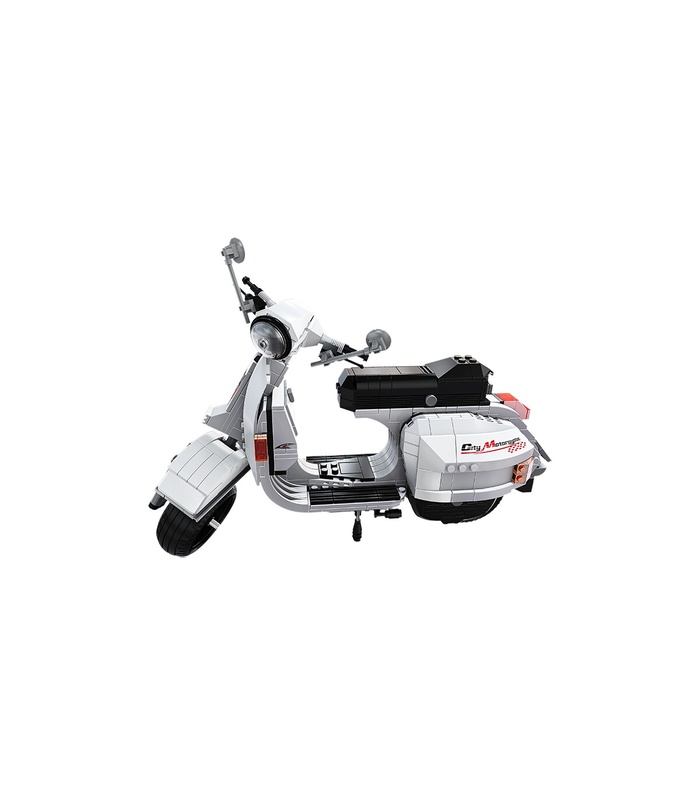 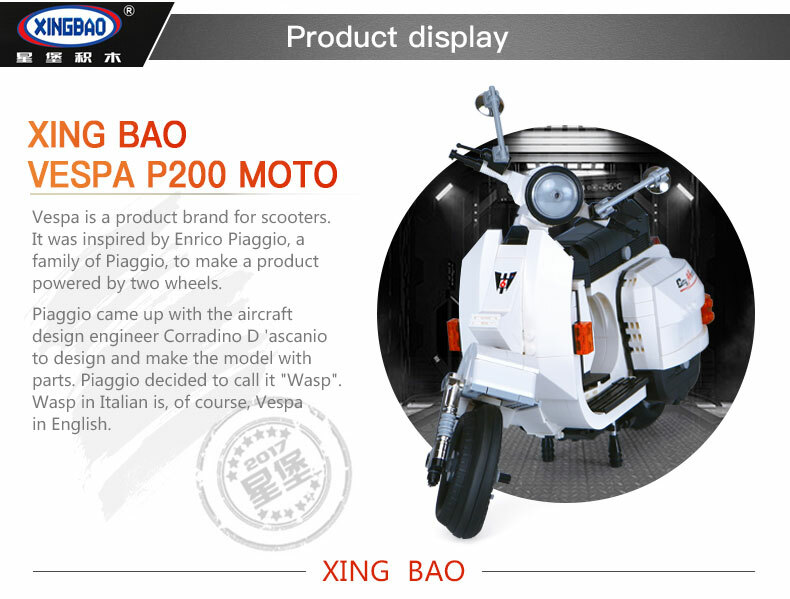 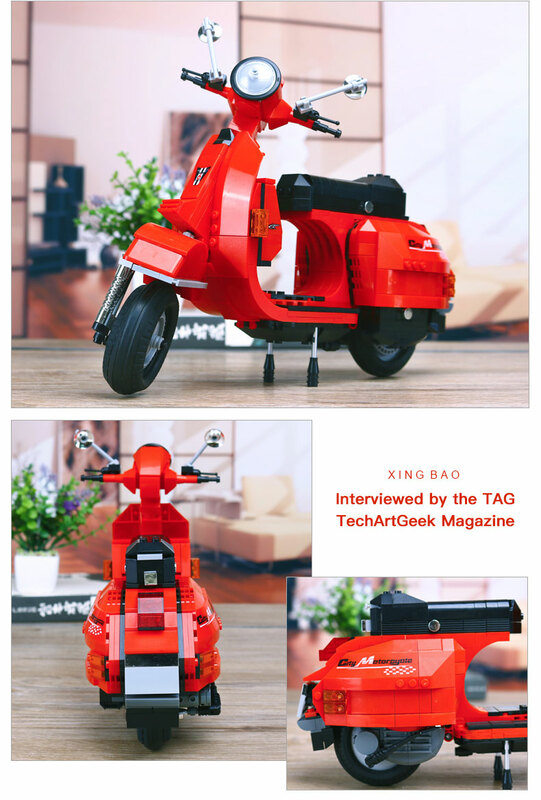 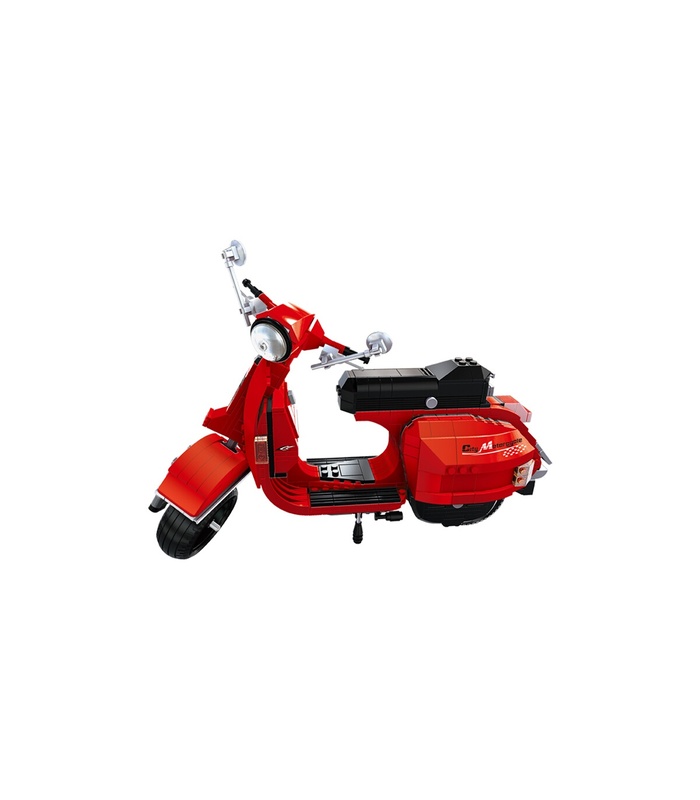 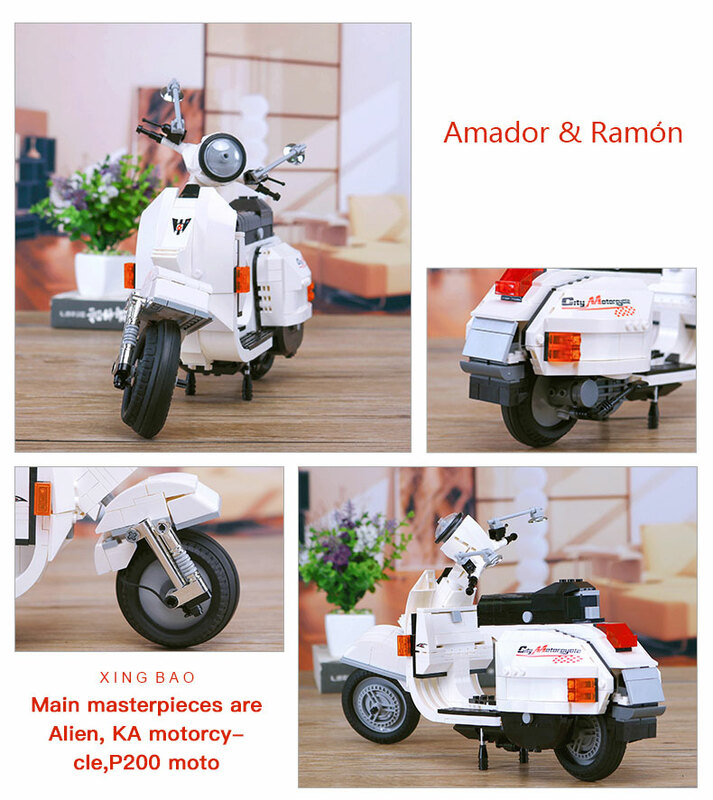 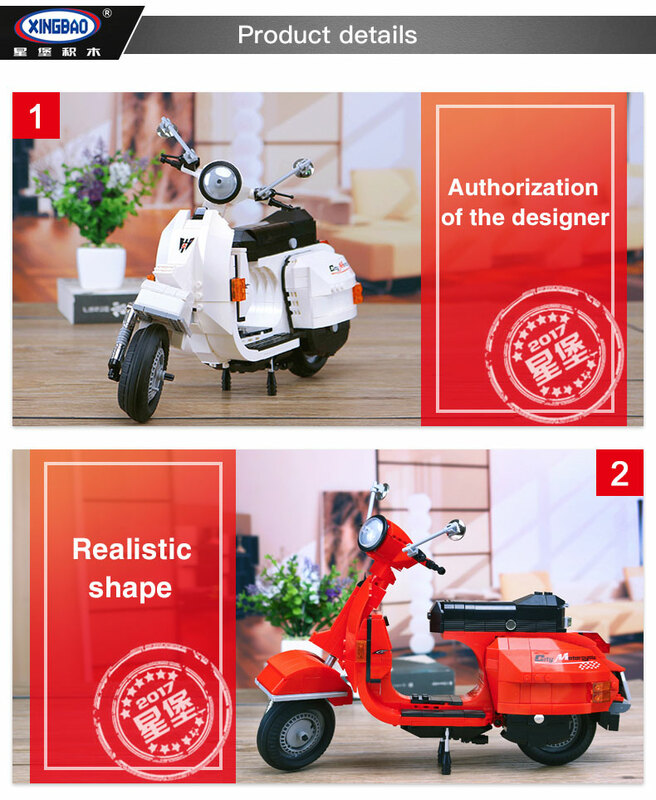 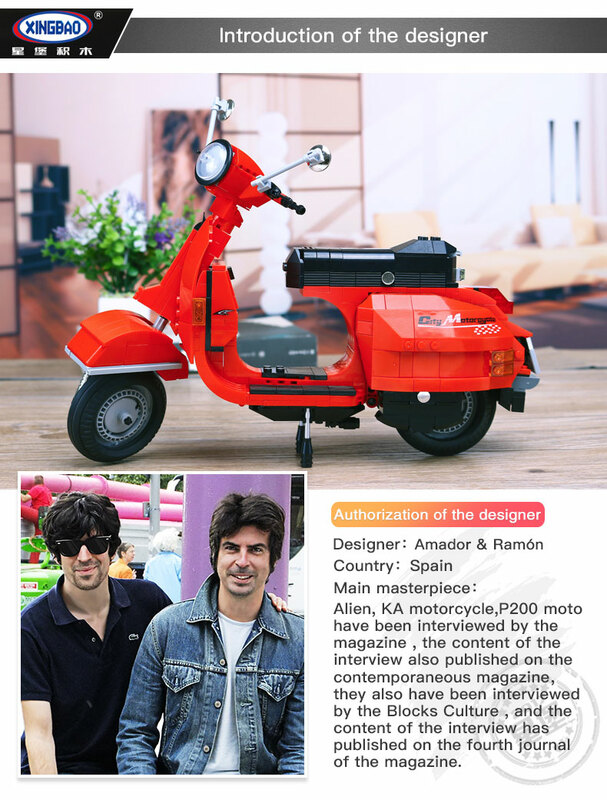 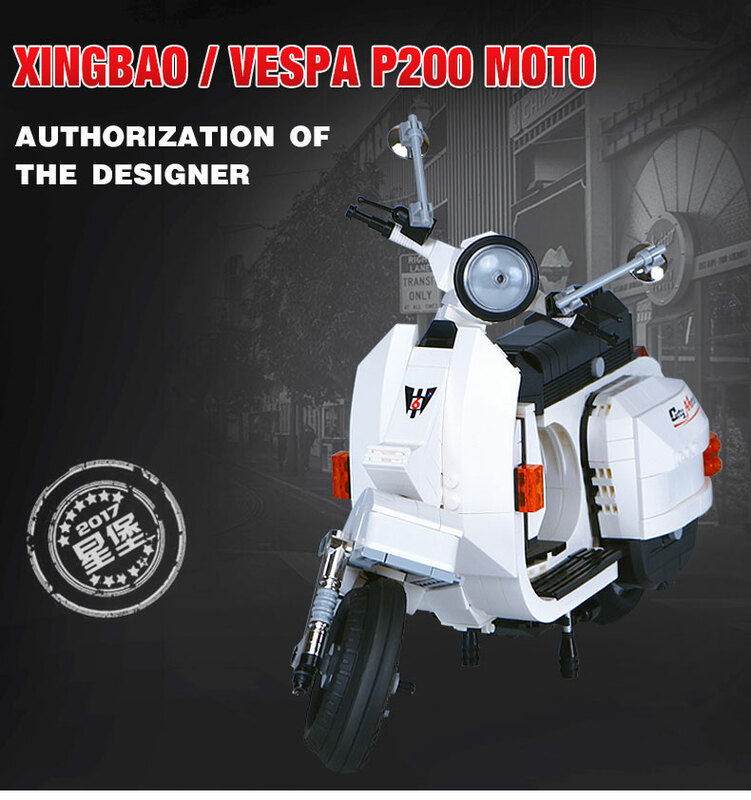 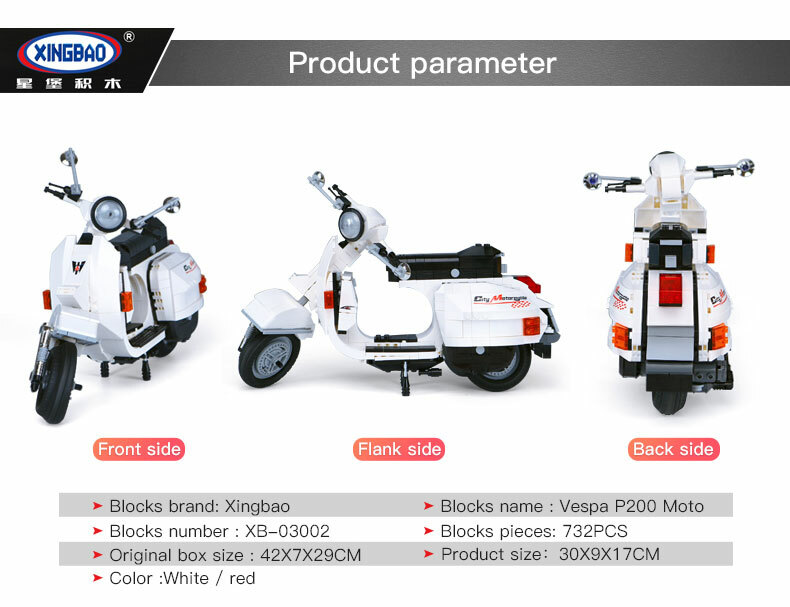 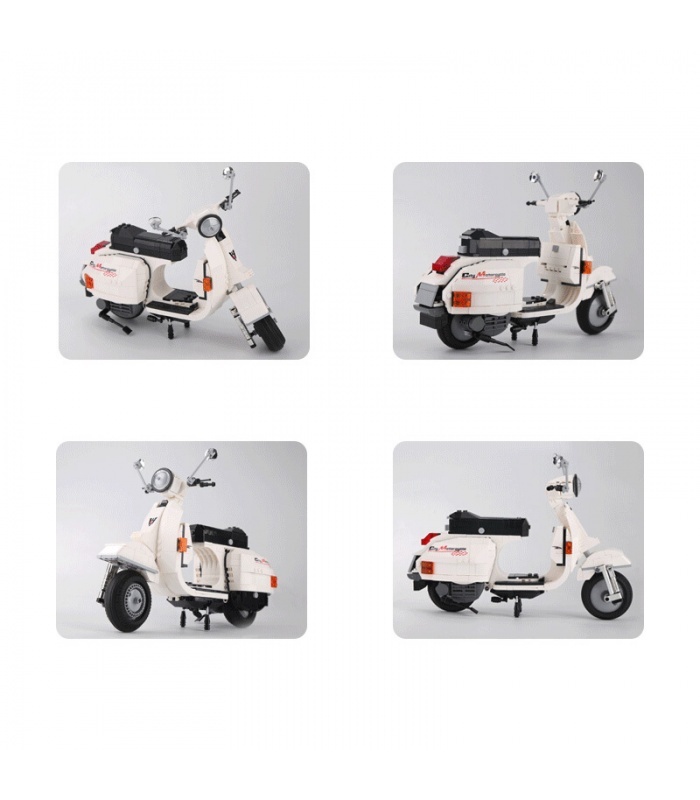 This is a special edition of XINGBAO Vespa P200 Moto in red colour. 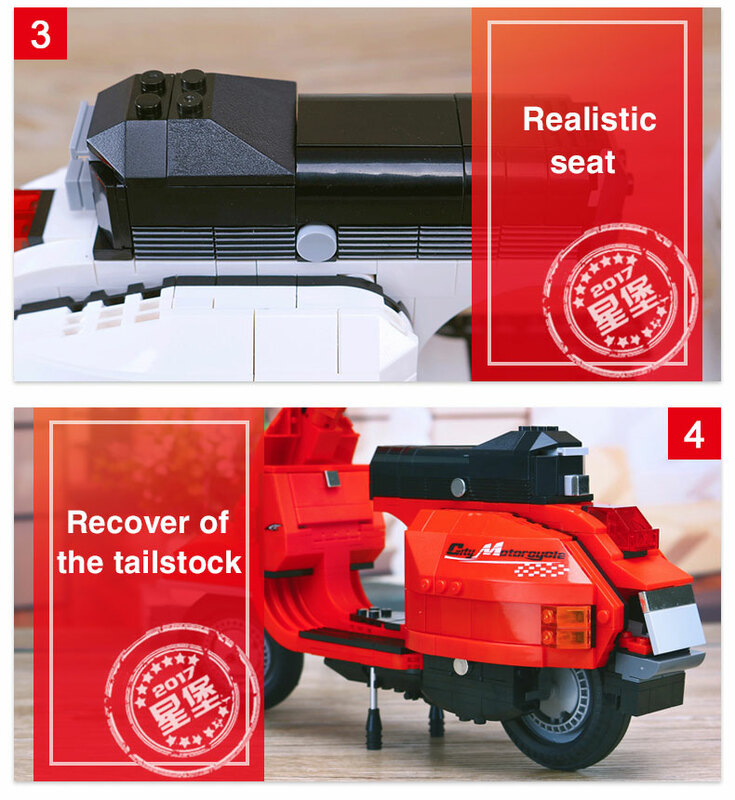 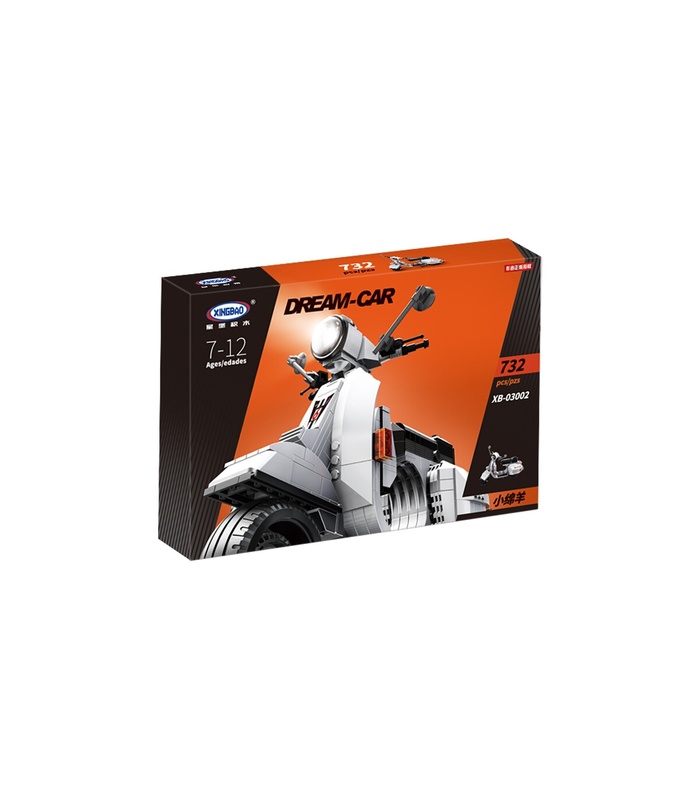 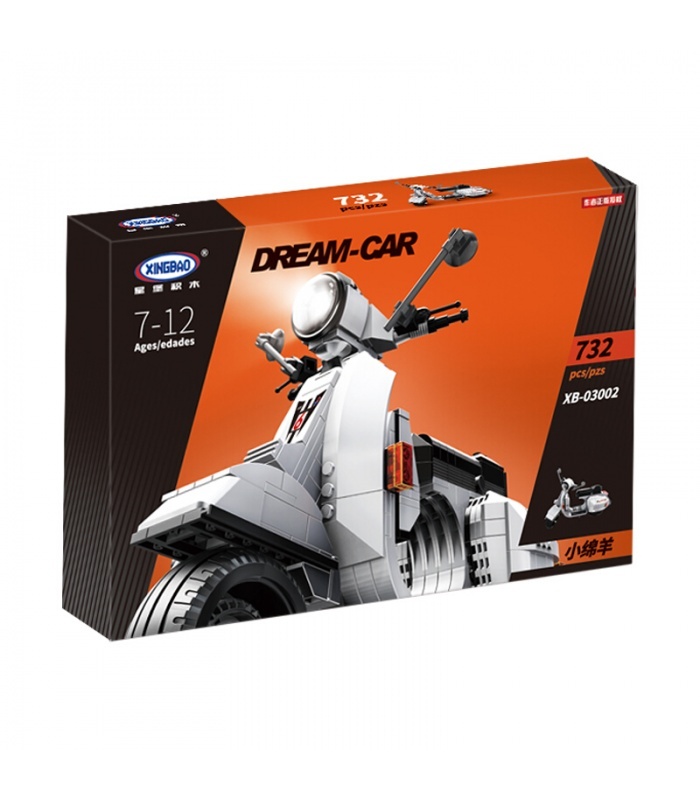 • This set is compatible with brand bricks and contains over 732 pieces.